Have you ever wanted to be Zahi Hawass? Too obscure? How about Howard Carter? No? What about Indiana Jones? Okay, now you’re with me. The Discovery Tour allows you to explore ancient Egypt, its cities, people, culture and of course the Pyramids. Assassin’s Creed has always been known for its panoramic synchronisation shots before the leap of faith and a genuine desire to be as historically accurate as possible while telling a story. With the Discovery Tour as part of the latest installment in the AC franchise Origins, you get to see the dedication to detail and accuracy via 75 guided tours. Each tour has a voice-over much like the ones on movies about Museum tours, where the high school students put on headphones and listen to explanations of the exhibits. In Assassin’s Creed Ancient Egypt there is a male and female voice to mix things up. The man sounds a bit like Hal Douglas, the movie trailer voice-over guy (RIP), which can be a bit jarring. That said he is a little livelier than the lady voice actor who sounds like she is recording a commercial for life insurance. Some of the ‘facts’ need checking. For example there is mention that the architects who designed Alexandria were forced to use flour as they had no chalk to mark out the foundations. Birds apparently ate the flour, but did they really? Where is that written? There is an option to learn more, but when you click on it, it doesn’t provide any links or references to any additional data to corroborate the claims. 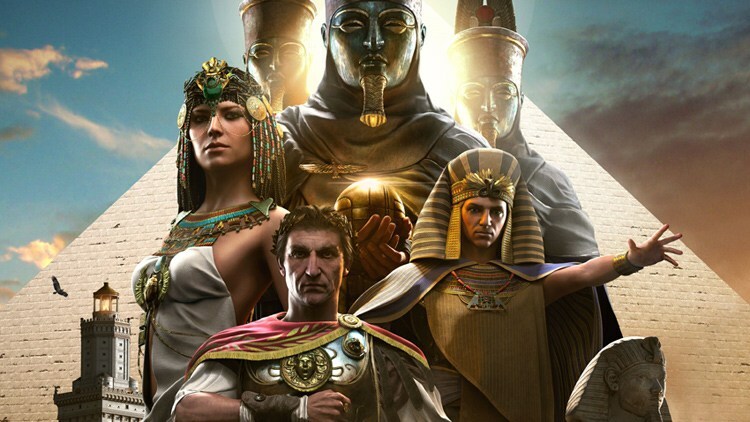 This is never going to be a replacement for proper research if your child is doing a project on Egypt, and I wasn’t expecting it to be, but it is a great way to give them an introduction to Egypt or get them learning a little something while playing on the console of their choice. The greatest potential I see is that it is a great way to train a new gamer on how to manoeuvre around the AC world without being attacked so the newbie can learn to use the controls without dying. 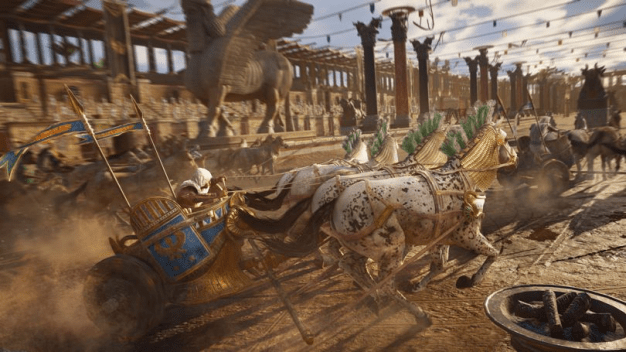 While they learn the controls they will get to see the amazing detail that goes in to making Assassin’s Creed Origins. They bring the ancient world of Egypt to life by recreating cities, people, animals, marketplaces and of course the tombs of the Pharaohs – the Pyramids. Touring the Pyramids is my favourite part and not having to avoid the snakes and thugs who want to kill you makes it more enjoyable, allowing you time to appreciate the amazing work the ancient Egyptians – and the creators of Assassin’s Creed – did. 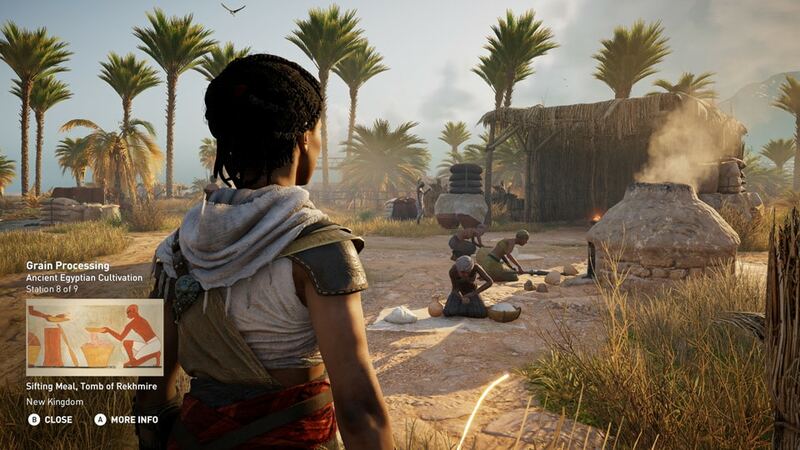 The other cool thing is you can choose from a range of different characters to take the tour as, from Bayek, Aya, Cleopatra, Julius Caesar or a Roman soldier or Egyptian merchant. This is something that can get old fast but is a great feature to get non-gamers to pick up a controller and to share Assassin’s Creed with your kids without the mature themes. The thought of this being a feature in future games or even retro versions from previous games is kind of cool though.